Russia: IIHF 2007 World Championship.Moscow based RTL SNG is currently exclusivley transmitting for TSN Canada. SNG in front of KHODYNKA stadium. Only three more days to meet the new World Champion. 11.05.2007 Russia: IIHF 2007 World Championship.Moscow based RTL SNG is currently exclusivley transmitting for TSN Canada. 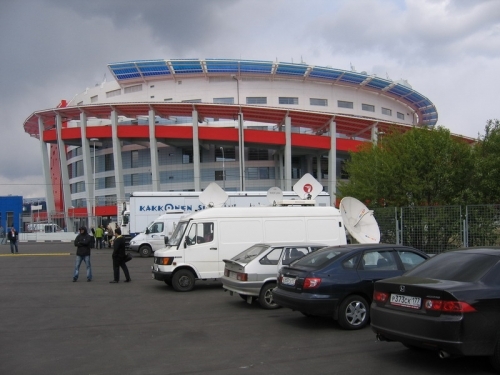 SNG in front of KHODYNKA stadium. Only three more days to meet the new World Champion.